Signed first US hardback edition. 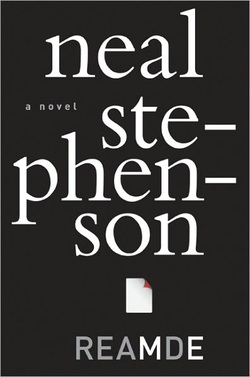 Synopsis : Neal Stephenson, author of the #1 New York Times bestseller Anathem, returns to the terrain of his groundbreaking novels Snow Crash, The Diamond Age, and Cryptonomicon to deliver a high-intensity, high-stakes, action-packed adventure thriller in which a tech entrepreneur gets caught in the very real crossfire of his own online war game. In 1972, Richard Forthrast, the black sheep of an Iowa farming clan, fled to the mountains of British Columbia to avoid the draft. A skilled hunting guide, he eventually amassed a fortune by smuggling marijuana across the border between Canada and Idaho. As the years passed, Richard went straight and returned to the States after the U.S. government granted amnesty to draft dodgers. He parlayed his wealth into an empire and developed a remote resort in which he lives. He also created T’Rain, a multibillion-dollar, massively multiplayer online role-playing game with millions of fans around the world. But T’Rain’s success has also made it a target. Hackers have struck gold by unleashing REAMDE, a virus that encrypts all of a player’s electronic files and holds them for ransom. They have also unwittingly triggered a deadly war beyond the boundaries of the game’s virtual universe—and Richard is at ground zero. Racing around the globe from the Pacific Northwest to China to the wilds of northern Idaho and points in between, Reamde is a swift-paced thriller that traverses worlds virtual and real. Filled with unexpected twists and turns in which unforgettable villains and unlikely heroes face off in a battle for survival, it is a brilliant refraction of the twenty-first century, from the global war on terror to social media, computer hackers to mobsters, entrepreneurs to religious fundamentalists. Above all, Reamde is an enthralling human story—an entertaining and epic page-turner from the extraordinary Neal Stephenson.